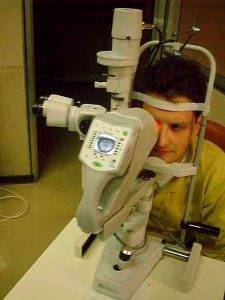 Evaluations for eye health disorders are also performed. The American Optometric Association recommends that all people should have a periodic, comprehensive eye examination every one to two years starting at the age of 6 months old. Here at the Agape Optometry Center we incorporate computerized technology to assist the evaluation of spectacle prescriptions, peripheral vision, intraocular pressure, and eye health. Computerized examination instruments are used to supplement rather than replace personalized care. 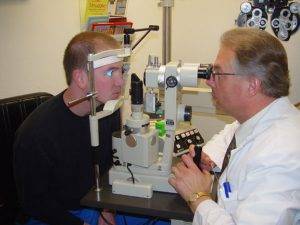 Examinations include tests for glaucoma, cataracts, macular degeneration, and the ocular effects of many general health disorders such as diabetes and high blood pressure, as well as effects of medications. A dilated pupil examination allows us to provide the best assessment of eye health. It is recommended for all new patients and on a scheduled basis thereafter. 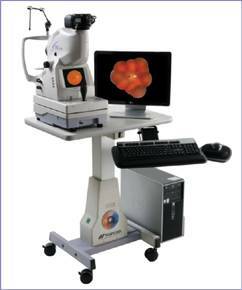 The TRC Scan is a state-of-the-art method of evaluating the retina, the sensitive lining inside the eye. The images are captured in less than a second and become immediately available for review. The procedure is non-invasive and simple enough that children can have it done. The TRC scans become part of your permanent exam record, available for future comparison and analysis from year to year. 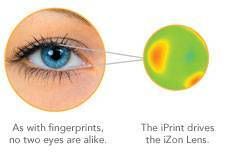 Additionally, the TRC scan greatly reduces the likelihood of eye dilation while improving Dr. Mayer’s ability to detect early signs of eye disease. This sophisticated exam has helped us to diagnose eye tumors, diabetes, glaucoma, macular degeneration and a number of other retinal diseases. Unlike existing technology, wavefront aberrometry measures the visual imperfections, termed “high order aberrations”, which were previously too difficult and elusive to measure. High order aberrations can significantly reduce vision, especially at nighttime. Wavefront aberrometry allows Dr. Mayer to precisely determine the most appropriate eyeglass and contact lens prescriptions, while also assisting him in diagnosing eye diseases including cataracts and keratoconus at their earliest stages. For some of our patients, wavefront aberrometry enables Dr. Mayer to prescribe special high-definition corrective lenses. Candidacy for these lenses can only be determined during an eye examination. Corneal topography via the Keratron Scout precisely measures the front surface of the eye, called the cornea, while performing powerful statistical analysis for diagnosis. Measuring 14000 points provides valuable information for prescribing contact lenses and corneal mold designs, reducing the amount of time required to get you the best prescription. 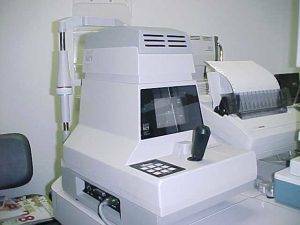 This technology also allows us to properly identify candidates for laser vision correction and monitor the healing response after corneal surgery. Corneal topography also is invaluable in detecting sight-threatening corneal pathology including keratoconus and pellucid marginal degeneration. Computerized side vision analysis or automated visual field analysis is done with the Octopus 311. During routine examination, our patients undergo a screening side vision measurement using flicker technology. It provides a clinically verified and rapid method of detecting early side vision loss. Side vision loss can signal glaucoma, damage to the retina, or even life-threatening lesions in the central nervous system. In situations when a highly detailed or “threshold” measurement of side vision is required, our patients undergo measurement with sophisticated threshold testing with white on white targets and blue on yellow targets. Statistical tools offered by the Octopus 311 are backed by decades of research and clinical validation. Since we own the Octopus 311, our patients are afforded the comfort and convenience of not having to go elsewhere when this measurement is necessary, thereby minimizing any delay in getting you the test results, not only for earlier diagnosis, but your peace of mind. You are probably aware of the “air puff”. We use the Reichert XPert tonometer. The computer generated “puff” is substantially less and the results are consistent and accurate. A tonometer measures the pressure within the eye. Eye fluids (aqueous humor) are replenished weekly and body metabolism changes can result in overproduction. This can cause increased pressure and nerve damage, eventually resulting in glaucoma. 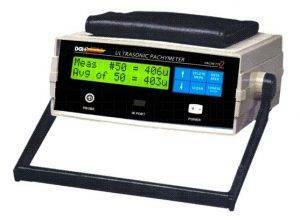 The DGH pachymeter measures corneal thickness to the micron. Why is this important? For those interested in refractive surgery (LASIK), we can determine if the cornea is thick enough for the procedure. This is very important with higher prescriptions in order to prevent problems. The pachymeter is also important with glaucoma suspect patients. If the cornea is very thick it will result in higher readings for eye pressure. This means that the pressure may really be normal and glaucoma is not a problem. The PhotoScreener” is a fully portable battery operated camera especially designed for the detection of vision disorders in young, preverbal children and those with developmental anomalies such as autism and Down’s Syndrome. The PhotoScreener” can accurately screen for conditions that can lead to amblyopia (lazy eye), including all refractive errors (like myopia & astigmatism), strabismus, media opacities and ptosis (droopy eye), all of which are treated more easily if detected early. The Taylor Visagraph II is a computerized eye movement recording system. With it we can measure and electronically record eye movements used when reading. These findings are compared to norms to determine if there is a deficiency. Specific therapy can be done to improve deficient eye movements – improvement results in increased reading fluency and information processing.